Jews are usually proud to define themselves as Jews. Some Jews may, for instance, proudly carry the Jewish banner (Jews for Peace, Jews for Justice, Jews for Jesus and so on) as if they believe that the ‘J’ word contains special righteous attributions. However, they also will be gravely offended if they are called a ‘Jew’ by others. Suggesting to a Jew that “he is a Jew” or “behaves like a Jew” can be regarded as a serious ‘racist’ offence. 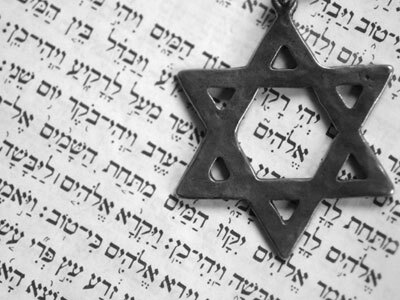 It is linguistically noticeable that the symbolic identifier ‘Jew’ or ‘Jewish’ operates as both noun and as an adjective. As much as the term points to a ‘thing’ it is also descriptive. However, I assume that symbolic identifiers associated with ideological and identity politics tend to function in a dual grammatical mode. The words ‘feminist’, ‘socialist’, ‘Nazi’ and ‘white supremacist’ can point to a human subject but they can also be descriptive. I guess, for instance, that a feminist who proudly carries the feminist flag may also accept that being called ‘a feminist’ will also assign some particular characteristics and ideological beliefs. Crucially, we also accept that being a feminist, a socialist, a Nazi or a white supremacist are matters of political choice. People are not born feminists or as socialists. They adopt those ideologies or identities later in life. From this perspective the ‘Jew’ signifier or symbolic identifier is slightly different for the Jews who are born into a collective identity. Almost like any case of biologically determined conditions such as ‘women’, ‘men’ or ‘blacks’, some people are born Jews However, here we are clearly setting ourselves into an interesting twist. First, European Jews can easily disappear into a white Western crowd by means of assimilation and integration and leave their Jewish identity behind, where as black people and women have to live their life accepting and enjoying who they are. Second, the duality between the noun and the adjective in the case of ‘black’ and ‘women’ is not necessarily realised as a gulf. Neither black people nor women are offended being called ‘black’ or ‘women’. To a certain extent the manner in which ‘Jew’ as a signifier, operates within the discourse may be similar to the case of the ‘gay’ symbolic identifier. While many gay people are proud to exhibit their gay identity, many gays are also offended when being labeled as ‘gays’ by others. In different cases of identity and marginal politics we can notice a parallel and simultaneous tendency to ‘own’ and ‘disown’, a clear inclination to ‘identify’ with a collective yet a refusal to be ‘identified’ as such by others. In multicultural reality we tend to believe that this contradictory mode of behavior is something to do with the usage and misusage of stereotypes. A stereotype is commonly defined as a public or common belief about specific social groups, or types of individuals. It is often a product of an essentialist generalization by the means of induction: it involves a nonscientific assumption about the properties of a class of subjects based on an accumulation of observations or anecdotal encounters which become reinforced with time and repetition. The concept of ‘stereotype’ is often confused with the notion of ‘prejudice’. Rather often we notice that a stereotype attached to ethnicity, class or any group are a means of performing an opinion, usually an unfavorable one, based on insufficient knowledge and irrational feelings. On the face of it, it would seem as if Jews are over sensitive to the ‘racial’ discriminatory implication of the ‘J’ word. However most Jews are not that concerned when being associated collectively with some great minds, adorable violin players or conductors. In short to safely apply the ‘Jew’ category, you just have to make sure you say the right things. No one will ever cause you any trouble for mentioning Albert Einstein in reference to Jewish intelligence or even bringing up Anne Frank as an exemplary motif of Jewish innocence but you may get into some serious trouble once you mention the following list of real and fictional characters: Bernie Madoff, Fagin, Wolfowitz, Lord Levy, Shylock, Alan Greenspan, Netanyahu and Nathan Rothschild without even identifying them as Jews. All of the above depicts a very obscure, yet far from surprising picture. As it seems, Jews, largely do not mind stereotypes or collective categories. They do not mind racial generalizations and essentialist stigmas as long as they are positive. It occurred to me recently that by juxtaposing Jewish stereotypes (those Jews seem to hate versus those Jewish ethnic campaigners try to promote) may throw some crucial light over issues to do with Jewish collective identity. It would also suggest to us how Jews might see themselves and even more importantly, it may also help us to grasp how they prefer to be seen. It is rather obvious that some Jews are rather unhappy with Charles Dickens’ Fagin and Shakespeare’s Shylock who they regard as ‘anti Semitic’. I get the impression that the prominent Zionist enthusiast and London Barrister Anthony Julius would like to see these cultural iconic characters diminished from popular discourse. On the other hand, the British Holocaust Education Trust (HET) already managed to plant Anne Frank within the British curriculum. It doesn’t take a genius to gather why Julius and others are concerned with Fagin or Shylock. Fagin is the ultimate plunderer, a child exploiter and usurer. Shylock is the blood-thirsty merchant. With Fagin and Shylock in mind Israeli barbarism and organ trafficking seem to be just other events in an endless hellish continuum. However, it is also obvious why the HET is so thrilled by Anne Frank. On the face of it, and for obvious reasons, Frank is there to convey an image of innocence. And indeed not a single moral system could ever justify the ordeal this young girl went through along with many others. Yet, Anne Frank wasn’t exactly a literary genius. Her diary is not a valuable piece of literature. She wasn’t an exceptionally clever either. She was in fact a very ordinary girl and this is exactly her power within the post WWII Western cultural discourse. She was just an innocent average girl. In fact, the attempt to make Anne Frank into a cultural hero may be a genuine reflection of the Zionist inclination towards sameness. Frank mirrors the desperate Zionist attempt to prove to the world that ‘we the Jews’ are people like other people. Moreover, the success of Anne Frank’s Diary is there to suggest the West’s willingness to accept Jews as people amongst peoples. In his latest book Trials of The Diaspora, Anthony Julius renews his attack on those whom he labels as ‘anti Semites’ for being anti Zionists. The problem with anti Zionism, says Julius, is that “it denies the Jews the right that it upholds for other comparable people, it adheres to the right of self determination except in the Jews’ case…. It affirms international law. Except in Israel’s case. It regards Jewish nationalism (i.e. Zionism) as uniquely pernicious, rather than merely another nationalism” (Trials of The Diaspora, Anthony Julius pg Xl, Oxford University Press). The cry for legitimacy and sameness in Julius’ text is pretty embarrassing, especially due to the fact that the Jewish ‘right of self determination’ is celebrated at the expense of someone else (the Palestinians). Zionism is uniquely pernicious at least for being devastatingly sinister to the indigenous population of the holy land. It is apparent in Julius’ text that the London barrister somehow prefers to evade engaging with the notion or the meaning of ethical thinking. For Hasbara (propaganda) to win a debate and for Julius to win his argument, Jews have to prove that they are truly the same rather than demand to be seen as similar. Surely Julius must know that winning a moral argument is very different from winning a court case. Presumably Julius is familiar enough with Kant’s ‘categorical imperative’ that suggests that to behave ethically is to ‘act in such a way that the maxim of one’s actions can be willed as a universal law’. Julius may fail to grasp that ethnically cleansing the vast majority of the Palestinian population cannot be ‘willed as a universal law’. Locking millions in concentration camps such as Gaza is not exactly a maxim of profound ethical standing. Dropping white phosphorous on people hiding in a UN shelter doesn’t make the Jewish state look like every other state. In fact, it doesn’t make Jews look like other people either. Watching Jewish lobbies around the world push for a war against Iran doesn’t make Jews look like ordinary people. And this is something that even Anne Frank cannot change. As much as Julius and others would like to remove some crucial stereotypes from our collective cultural discourse, they can actually expect the complete opposite. Fagin and Shylock are now more popular than ever before. Devastatingly enough, it is Fagin and Shylock who shed light over the Jewish state and its lobbies around the world. Fagin is neither alone nor is he an isolated fictional episode. The list of Zionist crimes is emerging so rapidly that it is almost impossible for us to keep up. I am reluctant to suggest to Julius that his attempt is in vain. The world out there is turning rapidly against Israel, Jewish nationalism and Jewish supremacy. Removing Fagin, Shylock and TS Eliot won’t stop the word ‘Jew’ from being an adjective and a negative descriptive emblem. For that to change, or for Jews to be genuinely respected, self-reflection is of the essence. Instead of pointing out what is so wrong with the Goyim, Jews may want to consider looking in the mirror. I tried it once many years ago. I have never recovered. It transformed me into a profound self-hater.